With 3D printing becoming increasingly economical, it is now possible to prototype faster than ever. 3D printing technology is improving exponentially, and the the potential it has to help people in need is growing with it. 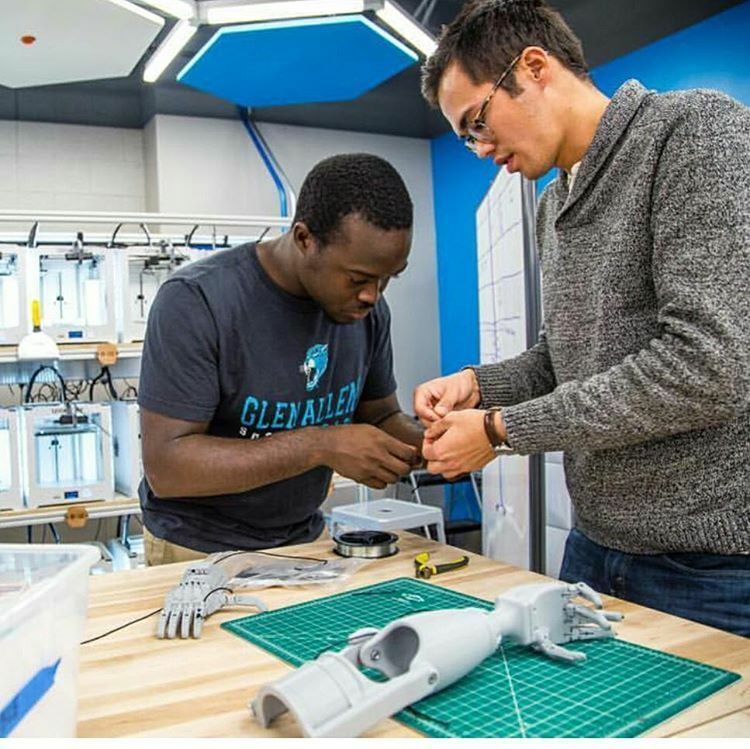 We are excited to be starting the Duke University eNABLE chapter, and to be opening a hub that aims to connect amputee patients who need hands with engineers and innovators who can print them. eNABLE (http://enablingthefuture.org/) is a global network of passionate volunteers using 3D printing to provide amputees with adaptive device designs that inspire. The goal of this project is to provide adaptive devices to those who need them, and to push the boundaries of 3D printed adaptive device design through constant innovation and creativity. 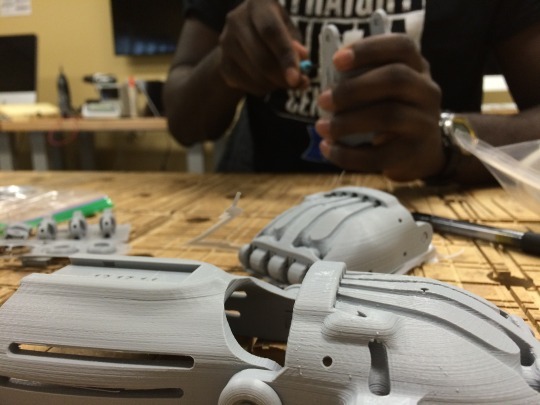 The Duke University eNable chapter is a student-run organization that connects amputees with 3D printed prosthetic devices. Two Duke students are pushing the boundaries on modern medical technology by using three-dimensional printers to develop a new kind of prosthetic. Kaylyn McGuyrt of Wake Forest, North Carolina, lost her arm in an ATV accident. She now has a clinical-grade prosthetic arm, but many aspects of her job as a cake decorator -- from spinning a cake stand to rolling out fondant -- are difficult. Thanks to a new collaboration between Red Hat, Inc., and Duke University, Duke students are designing a new prosthetic that will help the 26-year-old in her work and other daily tasks. We’re one step closer to becoming fully established as an official eNABLE University chapter! 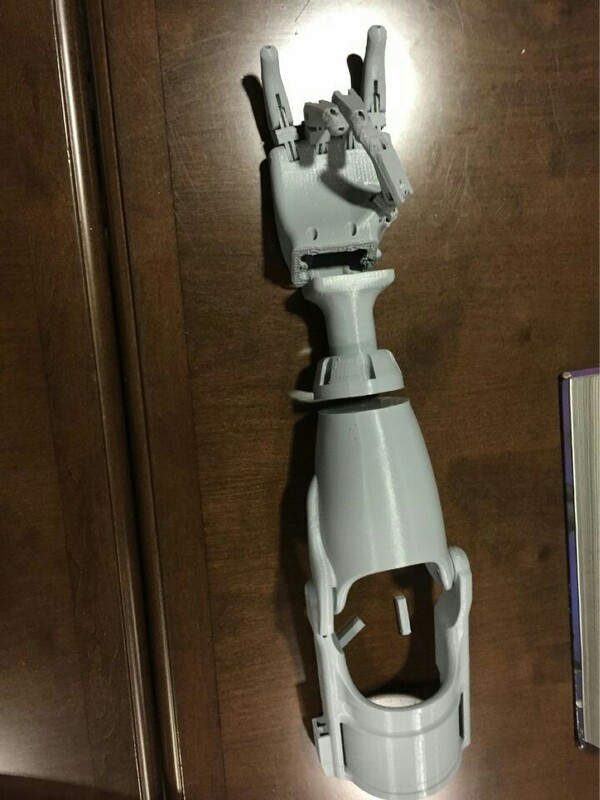 After spending weeks printing, re-printing, assembling and finishing our test hand (check out some more pictures on our project page), we have sent it in for review. e-Nable is currently processing the hand, and the paperwork that goes along with it - we should hear back from them soon. We’re all pretty excited, once we’re officially established as a chapter, we’ll start getting the chance to be connected with patients and amputees who need our help - in the Durham area and from all over the country. We’ve also welcomed a few new members to our team - they’ve been invaluable with helping to get this chapter off the ground. With their help, we’ve been able to reach out to the Duke Medical center, and are in the process of coordinating a possible partnership with them. We hope that they can help us to connect with amputees and patients who would be able to benefit from our technology, and we’re all very excited to see where this leads. 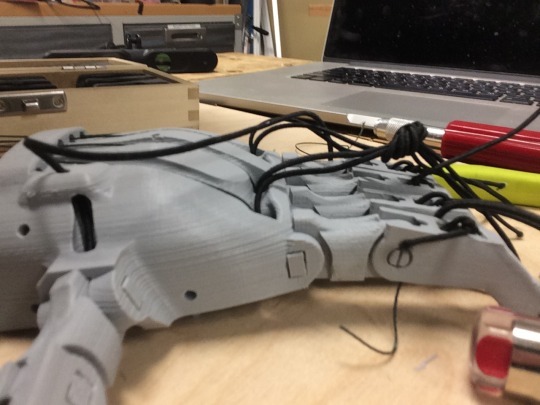 On the tech front, we’re currently printing out a few more hands, and experimenting with printing out an arm as well. We’re hoping to start experimenting with some myoelectric sensors as well, and figuring out a way to connect the e-Nable hands to commercially available myoelectric technology. The co-lab is in the midst of renovating their space, and we’re excited to have a space of our own next year. The chapter is really starting to pick up speed, and we’re excited about what is coming next. Look out for more updates soon!